Plan your next Birthday Party here, Home of The Thamesville Maize, Pumpkin Patch and Fun Farm. We have celebrated many Birthdays here! Everyone knows that PLAY is the great component to having a fabulous time, for all ages alike. Don't look any further because we offer PLAY for everyone, young and old. There's no extra charge for Birthday Parties. Just purchase your tickets at the gate and let the FUN begin. 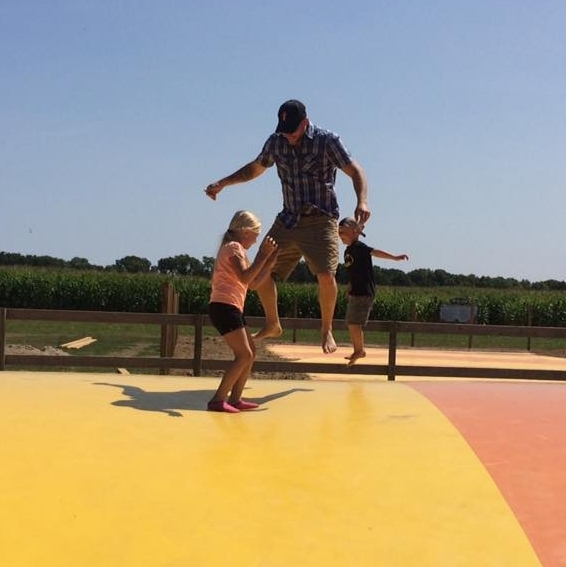 10 acre corn maze, little bitty maze, Jumbo Jumpers, games, mini mazes and a giant farm yard full of FARMTASTIC FUN. **To kick off the celebrations we will provide a $1 token for each paid admission to go towards the cow train, corn cannon or pumpkin cannon. Just bring the kids and the cake and we will provide the FUN.